I've been watching the manual brake post here and on other sites very closely because I'm doing the same thing. I've seen alot of the same questions keep popping up (including some by me) and I thought some pictures may help clarify things. I'm not a brake guru. I hoped to have this finished up this weekend, but been called into work a few times. So here's what I've got so far.....Moderaters..this may belong in the technical section, please move it if necessary. 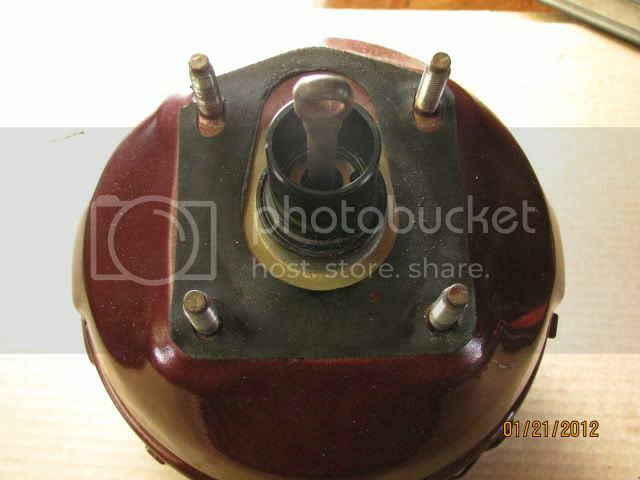 Here's the brake peddle from my parts car with power brakes, the upper hole (above the pushrod stud) is the hole thats needed for the manual brake pushrod to have the proper leverage. Here's my brake peddle with the new stud pressed in (I added a bit of loctite for peace of mind) The old power brake stud could be removed, I left it. 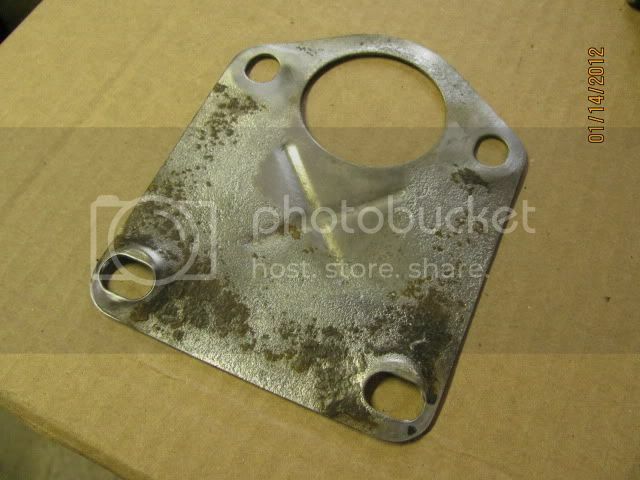 Here is the adapter plate I had intended to use from a manual brake s10. 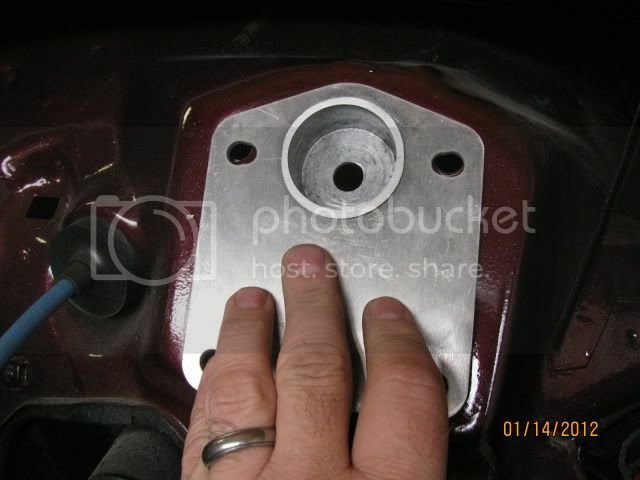 Notice how the mounting holes are distorted from the bolt torque. The opening in the firewall need some minor trimming when a pushrod retaining cup is used, not much, took about 2-3 minutes to open up the upper portion of the opening about 1/8", I test fitted the s10 type also, that cup size is larger and would have required even more trimming. Thats it for now. Next weekend I hope to finish up and show some pictures of the custom pushrod and Manual master bolted up. Special thanks to Malibudave1978. He's helped me get this project headed in the right direction. The guy knows his stuff!! Last edited by Wile E on Sun Jan 22, 2012 9:07 pm, edited 2 times in total. Thanks for posting those pictures Wile E,I have also been following the posts on this subject.If it works as well as I hope it does,I may be doing the same thing,so keep the pictures & info coming !!! that upper hole yields a 5.5:1 ratio. depending on the master it is correct. for a 1 1/8 strange master a 6.5:1 is needed but for a 1.032 it is correct. did you fab or purchase the adapter plate? which master are you going to use? 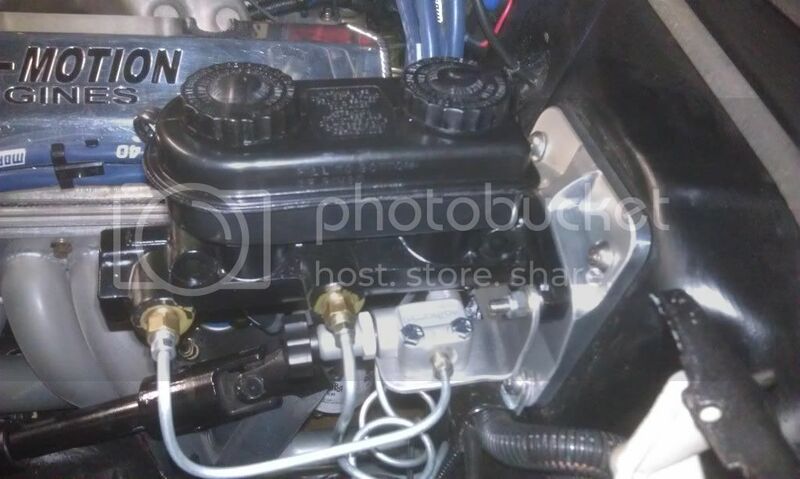 I'll be posting some more pics of the master cylinder and pushrod setup hopefully this weekend if I get time to work on it. Nothing really exotic here, no 6 piston calipers or big inch rotors. Keeping it simple and within my budget. So here is the adjustable pushrod I'm using attached to the brake pedal, the longer pushrod is from the s10 set-up, but it would need to be shortend alot to work. Here's the factory pushrod still attached to the booster. The factory one is held captive within the booster and when the other end is attached to the brake pedal, it's a pretty solid and safe set-up that will not fall apart, when using a s-10 manual plate and cup, or one like I've shown with an attached cup, the push rod will not have an opportunity to lose contact with the master cylinder, without some type of pushrod retention, the pushrod could potentially lose contact if the pedal is over-extended. I understand some of the other custom set-ups also accomadate pushrod retention. Here's what the retention cup looks like from the interior side without the pedal assembly. (rubber boot not shown). I plan on putting a bolt thru that hole and adjusting it to keep the pedal from over-extending (backwards) and having the pushrod fall out of the hole. Here's a pic from the firewall side. 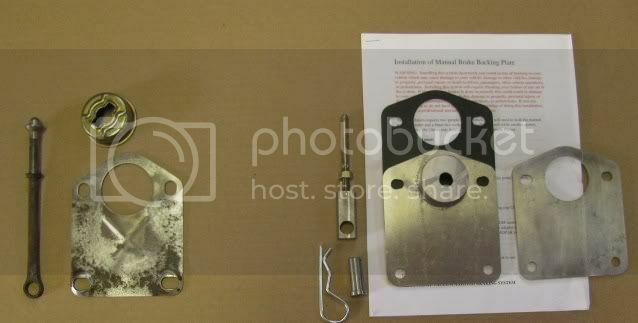 The kit I used came with some really nice detailed instructions, here's another picture of the parts I used (some nice stainless steel hardware was included shown in the firewall pic) thats the s10 set-up I had originally planned on using pictured next to the nice stuff. It will be a while before I get a chance to try all this out, calipers and brakes lines are on a LONG list of to do things. 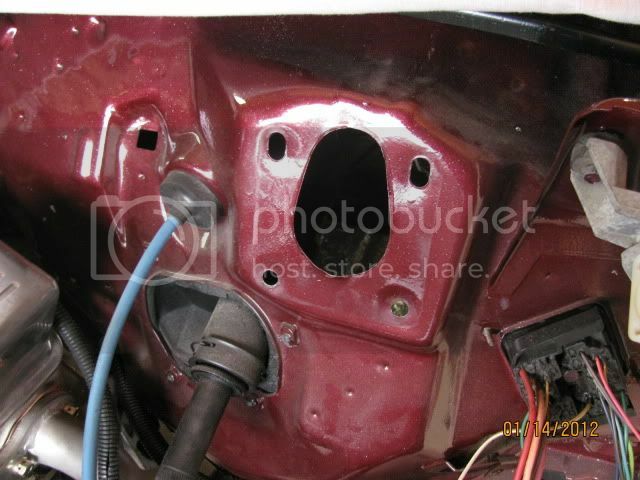 Yes, the upper hole is for the cruise control vacuum switch. 1. 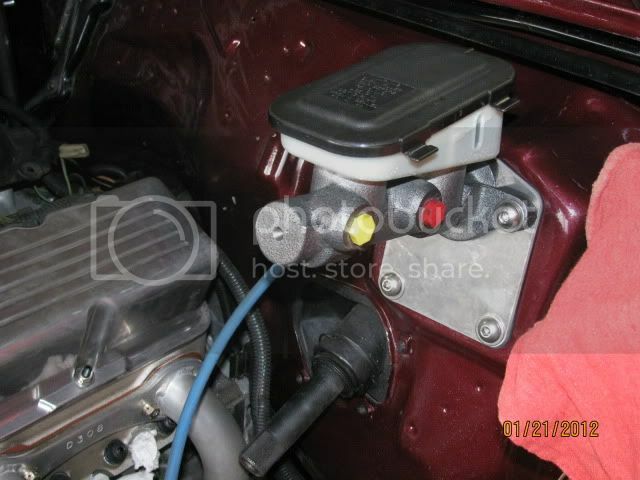 Disconnect the brake light connector from the brake light switch. 2. 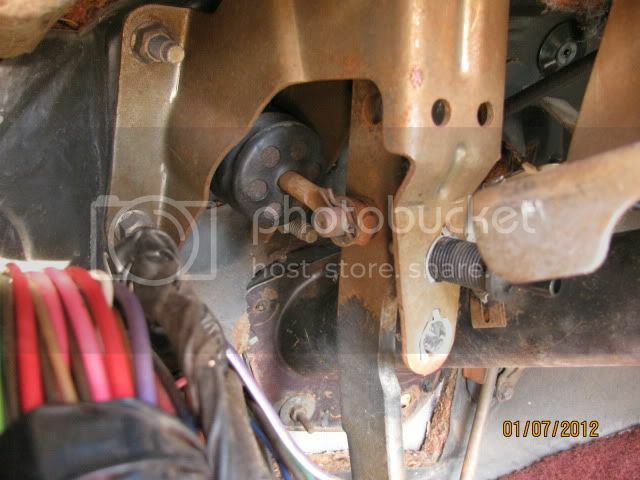 Unscrew the brake pedal switch from the brake pedal assembly. 3. Pull the brake pedal back toward the driver’s seat until it resting against where the brake light switch screws into the brake pedal assembly. 4. 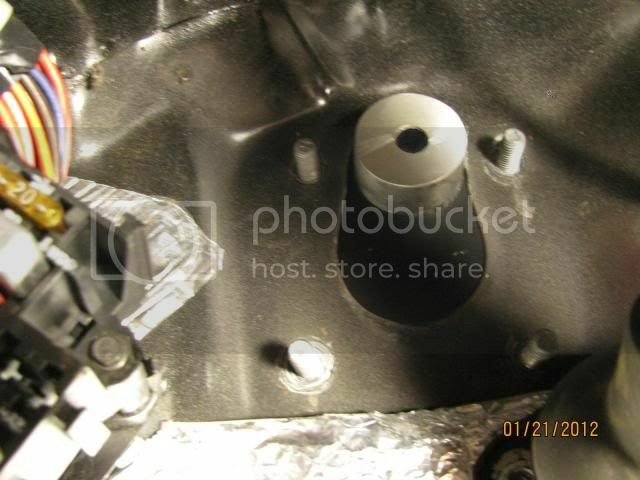 If the pushrod falls out the back of the cup, adjust the pushrod to a longer setting until the pushrod does not fall out the back of the retention cup. It just needs to be long enough not to fall out of the back of the retention cup. 5. 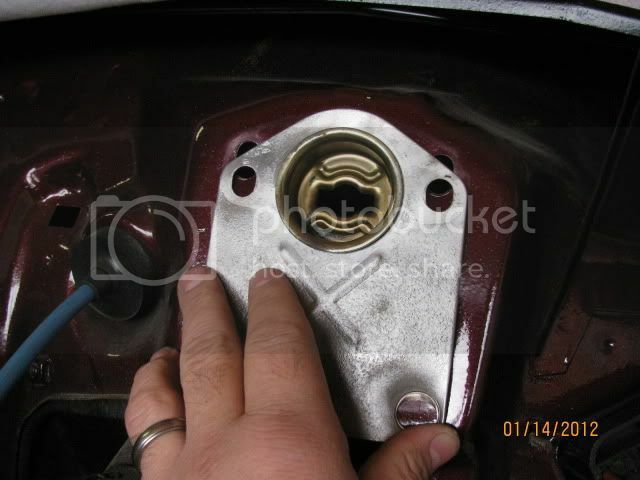 Tighten the locking nut on the adjustable pushrod. 6. Screw the brake pedal switch back into the brake pedal assembly until the pushrod assembly barely touches the piston in the master cylinder. You DO NOT want any preload on the master cylinder piston. 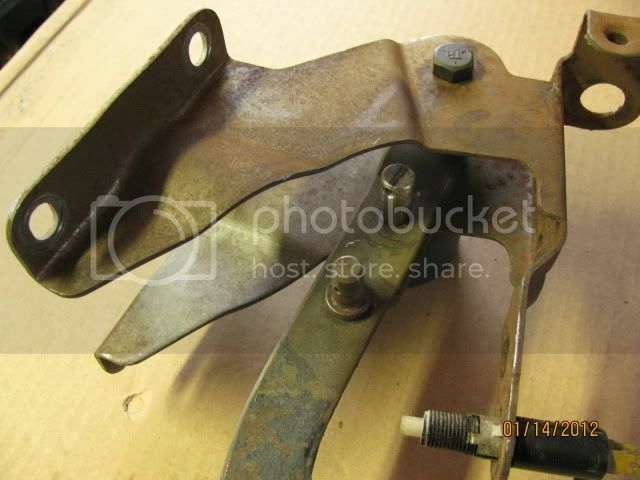 This may cause the brake pads or shoes to drag. 7. Connect the brake light connector back on the brake light switch. I know this is an old post, but I finally got a reply from Wilwood on the whole "low drag" issue for their iron metric replacement caliper. "Thank you for the inquiry with Wilwood Disc Brakes. All Wilwood calipers are build with our square o-rings in the piston bore. The 120-8924 is not considered a "low-drag" caliper."